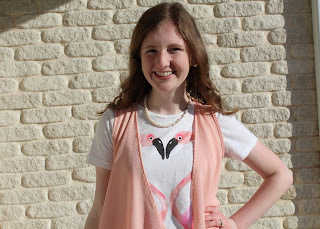 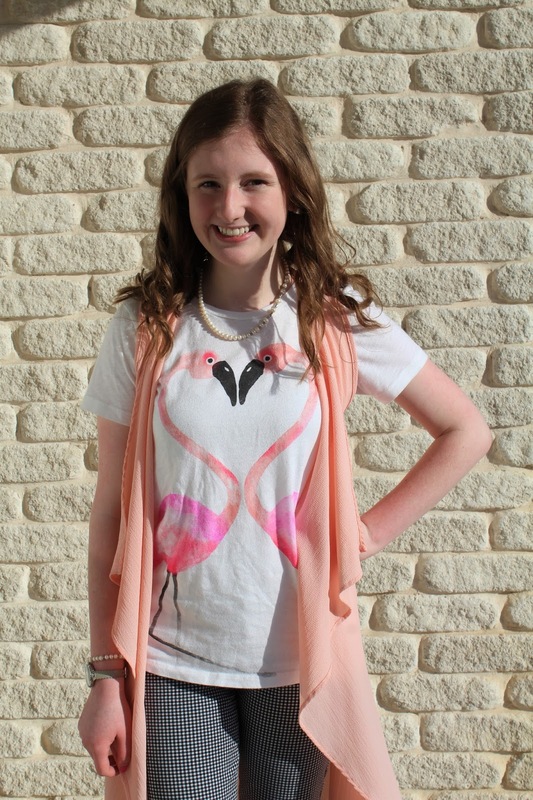 I am definitely not a Valentine's kind of girl but I was dying to wear this flamingo shirt again and I thought the perfect opportunity to would be on Valentine's Day. 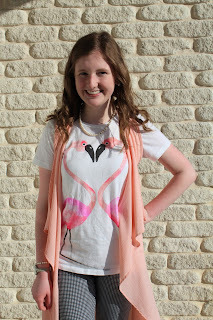 So here's my Valentine's look! 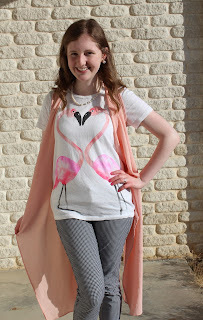 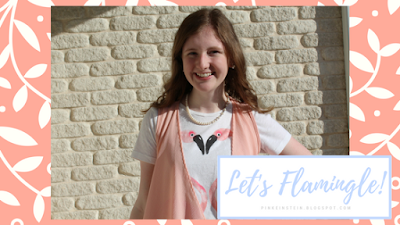 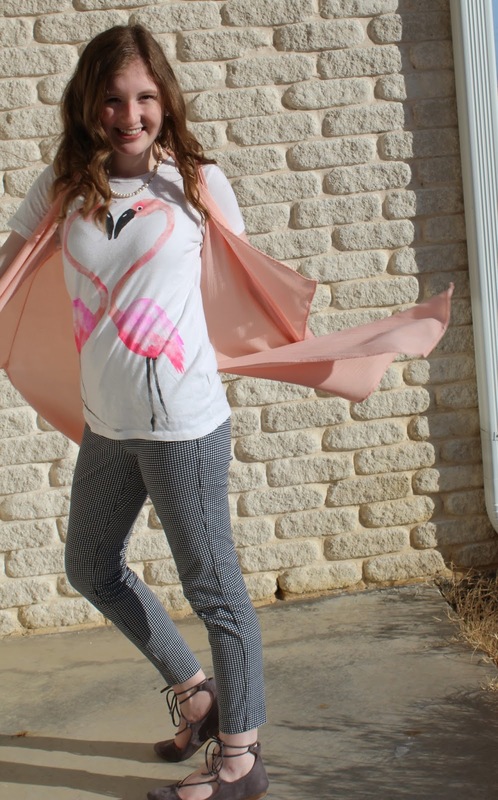 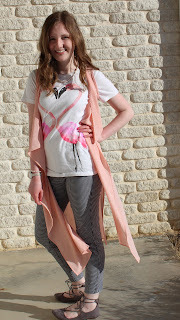 I purchased this adorable flamingo tee from J Crew last summer, the Pixie Pants are from Old Navy, and the pink duster and lace up flats are from a boutique I worked with last spring called Shop Lucky U.
I know Valentine's was a couple of weeks ago (oops!) 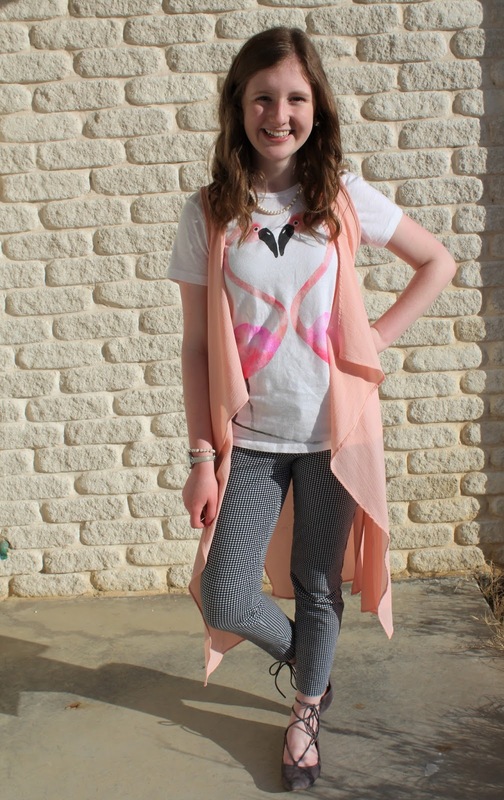 but I hope you still enjoyed the outfit!